Here are some of my favourite tunes. in_sid.dll can be downloaded from SidAmp. As of 2018 DeliPlayer 2.0 no longer works on Windows 10 (64-bit). It was unreliable at the best of times. For Exotic Amiga Music it is best to use BZR Player. If any of the original author's web sites are unavailable you can download the versions I use below. To download, position the cursor over the links below. Press the right mouse button and then press 'Save Target As...'. You can download the ST Sound WinAmp Plugin v2.0 from here (53.5k). You can download the Old Skool MOD Player v0.82 from here (29.4k). You can download SidAmp v1.33 from here (121k). Just copy in_sk00l.dll to your Plugins directory in WinAmp to enjoy Brian Postma's SoundMon 1.0-2.2, Future Composer 1.0-1.4, SoundTracker, NoiseTracker, StarTrekker (limited features), ProTracker and FastTracker for those 4+ channel MODs. Even in 2008 I prefer SidAmp to SidPlay because it is easier to select sub-tunes in SidAmp. JAM Player can be used to play SNDH format. Use AY-Emul by Sergey Bulba to convert AY to YM6 format. RealPlayer 8 or higher is required for the ultra realistic Robocop tune, download RealPlayer from Real Networks. As of 2016 DroidSound and ZX Tune can be used to play MOD and YM format tunes on Android. 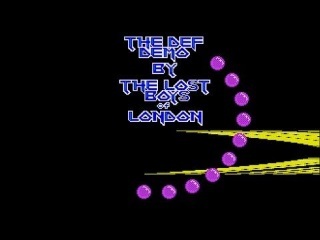 The Big Demo (113 tunes), Atari ST.
Mad Max (Jochen Hippel) of The Exceptions from original game music by Rob Hubbard. Michael Lynn using Pacifist 0.48, 1998. I thought it would be fun to find all the original C64 tunes which Mad Max converted to the ST to compare them. 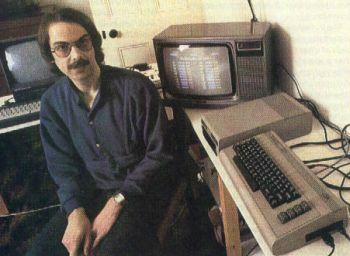 Michael Lynn using X128 and ZX32TH02, 2002. 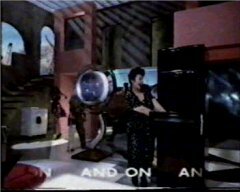 The Robocop tune was used on the Ariston Washing Machine advert in the late 1980s! The music used in the advert was from the GameBoy version. Dreamfish, Wire, GlueMaster, Hurricane, Borgar Thorsteinsson (Wire), Manfred Linzner (Pink), Christophe Resigne (Rez). Warhawk, Atari ST. Used on the Automation 133 intro. David Whittaker from original game music by Rob Hubbard. Michael Lynn using Pacifist 0.48, 2002. MCM using Pacifist 0.48, 16/9/2002. Rob Hubbard. ST Union Demo version by Mad Max. Various. AY to YM conversion using AY-Emul by Sergey Bulba. Jeroen Tel\Maniacs Of Noise. ST Union Demo version by Mad Max. Lloyd Russell. Your Sinclair Issue 21, page 62. Michael Lynn, 12/8/2016 using X128. AY to YM conversion using AY-Emul by Sergey Bulba. Mad Max. C64 conversion (Pro BMX Simulator A). Michael Lynn, 12/10/2018 using SainT. Matt Furniss wrote the music for Toobin, Chase HQ, Hard Drivin' in mod format. Matt Simmonds (4mat, 4-Mat) of Anarchy wrote the music for Leander, Micro Machines etc. He also wrote an ace version (credit: Mat Simmonds) of the Rambo Loader tune (original Martin Galway) for a plasma intro. dreamfish/TRSI did a slower version of the Rambo Loader tune in .MOD format. The music on Sega Arcade Gallery was by Anthony N Putson but the sound effects were by Allister Brimble (Project-X, Superfrog etc). Comic Bakery was downloaded from Game Mods. 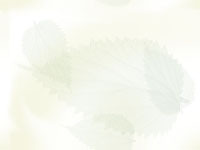 This site often disables downloads due to bandwidth restrictions. I have put Comic Bakery on this website just in case it disappears completely.